« Is Israel’s military honeymoon with Russia in Syria over? Netanyahu’s decision to specify the location and alleged content of the Tehran atomic warehouse, from which he said the Iranians recently removed 15 kilograms of radioactive material, was taken after consultations with the security establishment and with its approval, the prime minister has made clear. Israel had provided details of the warehouse to the IAEA and to the US administration six weeks ago, but Netanyahu charged that the IAEA failed to act. It was decided after security consultations at the Prime Minister’s Office that Netanyahu would publicize the information at the UN, in the hope of galvanizing the IAEA into action. Since his speech, the US has indeed asked the IAEA to investigate the site, and Netanyahu also asked UN Secretary-General Antonio Guterres to push the IAEA on this. Immediately after Netanyahu’s speech, meanwhile, the IDF published further information on the Hezbollah missile factories that Netanyahu had referred to. Presumably the recommendation from security chiefs that Netanyahu not include material on the third site in his speech stemmed from a decision to work behind the scenes on this issue for the time being. In April, Netanyahu held a press conference to detail the contents of a huge haul of documentation taken by the Mossad from a secret Iranian nuclear weapons project archive in Tehran. The operation to remove that material from under the Iranians’ noses had taken place months earlier. Israel had privately shared some of the material with the US and with the IAEA, Netanyahu said at the time, but did not rush to make the haul public. According to the official, the 15 kilograms of radioactive material that Netanyahu said was removed from the facility and dispersed around Tehran was taken away at the beginning of August. 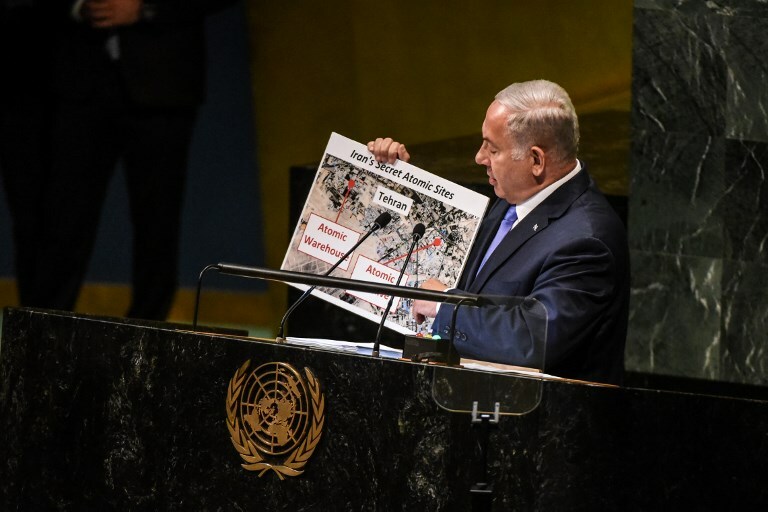 In his address to the General Assembly on Thursday revealing the “secret atomic warehouse,” Netanyahu said “[Global] intelligence services and the International Atomic Energy Agency (IAEA) have known about this for six weeks” and failed to act. The warehouse allegedly contained nuclear materials that Iran is not allowed to hold without declaring them to the IAEA. 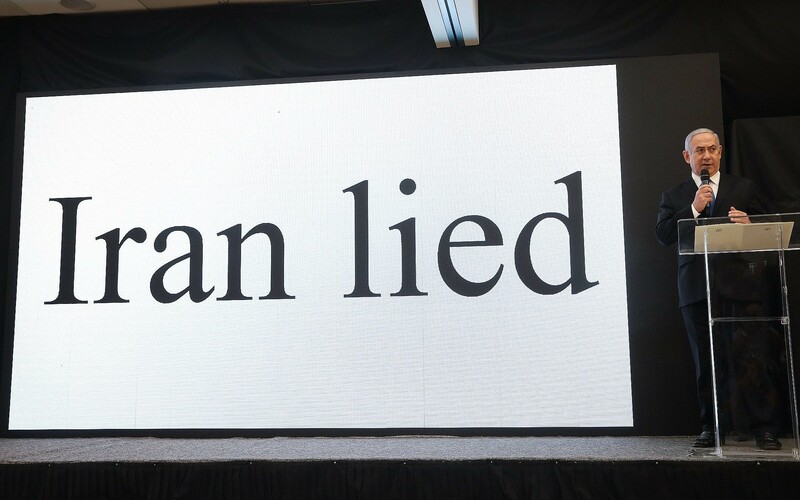 Netanyahu, in his speech, claimed the warehouse was used for “storing massive amounts of equipment and material from Iran’s secret weapons program,” which was quickly being moved to other parts of the city. The site may contain as much as 300 tons of nuclear-related equipment and material in 15 shipping containers, he added. 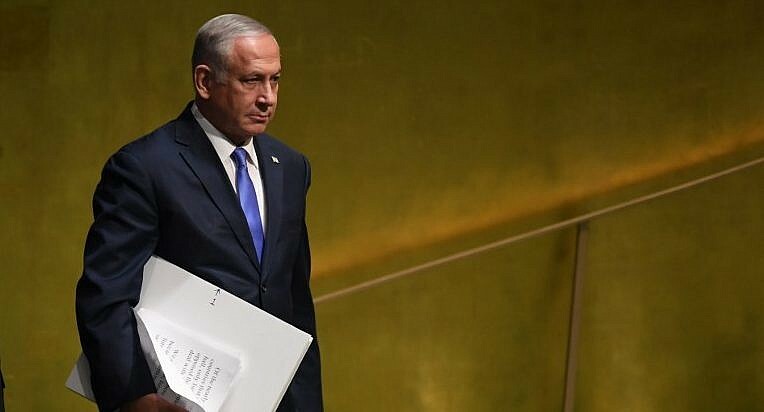 The US on Friday asked the IAEA to investigate Netanyahu’s new allegations, although Reuters also quoted a US official as saying the prime minister’s information was misleading, and that the site contained documentation and not nuclear materials. Asked if the existence of the secret warehouse and its contents definitely violated the terms of the 2015 Iran nuclear deal, the Israeli official replied: “First of all, let them check… Why did they remove 15 kilograms of radioactive material? That’s a question that needs to be looked into. “There’ll be a crisis somewhere or other, and they’ll [take advantage of the distraction] to break out to a nuclear arsenal,” he warned. “That’s the Iranian plan. And that’s what the agreement gave them. “It also gave them hundreds of millions of dollars — directly released funds,” he noted. “They put that money directly into their war machine; there’s been a 40% increase in their defense budget. On Friday an unnamed official told Channel 10 news that the facility was uncovered by the Mossad spy agency a few months ago, and had since been kept under surveillance. The Israeli official was adamant, by contrast, that what the Iranians were keeping in the newly revealed warehouse was considerably more grave than the contents of the archive. The official did not elaborate beyond saying it was “forbidden nuclear material,” the TV report said. In May an Israeli TV report suggested Jerusalem may have decided not to assassinate Fakhrizadeh because it prefers to keep him alive and watch what he is up to, even as other Iranian nuclear experts have been assassinated in recent years in hits attributed to the Mossad. At the General Assembly speech (full text here), the prime minister said the IAEA had failed to take any action after he revealed in April a nuclear archive that Israeli spies managed to spirit out of Iran, and so he was now revealing what he said was a “secret atomic warehouse” in the Turquzabad district of Tehran, a few miles from the archive. Both the archive and warehouse, Netanyahu said, were proof that Iran had not given up its nuclear program. “Iran has not abandoned its goal to develop nuclear weapons … Rest assured that will not happen. What Iran hides, Israel will find,” Netanyahu added. On Thursday, Netanyahu also met with UN Secretary-General Guterres and urged him to ask the IAEA to investigate the facility. This entry was posted on September 30, 2018 at 7:12 AM and is filed under Uncategorized. You can subscribe via RSS 2.0 feed to this post's comments. You can skip to the end and leave a response. Pinging is currently not allowed.